Posted on December 11, 2014 by anayasblog Posted in Daily Specials	. We are bringing a valley tradition to our restaurant starting this Tuesday, December 16th. Taco Tuesday featuring mini tacos and regular tacos at a special price. Same delicious flavors, same wonderful restaurant, less stress on the pocketbook. Fried tacos are served deep fried in a corn tortilla with your choice of ground beef, chicken or piccadillo beef. Garnished with lettuce, tomato, and cheese. Tags: 85020, 85021, 85027, 85029, 85051, 85053, 85069, 85300, 85301, 85302, 85304, 85306, 85307, 85308, 85310, 85311, 85312, 85318, 8533, 85345, 85380, 85381, 85382, 85383, 85385, Authentic Mexican food, Best margaritas, Best mexican food, best tamale, Glendale, Mexican fresh seafood, peoria, Phoenix, Taco Tuesday	. What do you think? Mini tacos, or no? Posted on November 15, 2014 by anayasblog Posted in Daily Specials	. We are thinking of adding some new menu items, and we would like your feedback. To compliment our already huge menu full of delicious Mexican food items, we are thinking of introducing the mini form of Chimichangas, tacos, and tostados. These are the mini tacos I just had for lunch today. If we add these mini tacos to the menu, we are thinking of selling them for $2.99 per plate of three tacos. Please let us know what you think about this idea. But first, take a close look at those mouth watering delicious tacos. Served with onions, cilantro, cabbage, and your choice of chicken, beef, or shredded beef. Oh, they are soooo, good with our fresh homemade salsa. Hungry Yet? Come to Anaya’s, we can fix hungry. What do you think? New salad dressing may be coming soon. Posted on November 13, 2014 by anayasblog Posted in Daily Specials	. We are thinking about adding some new salad dressing to the menu for our wonderful customers, and we want to know what you think? We would also be interested in seeing your recipes if you would like to share them. Tags: 85020, 85021, 85027, 85029, 85051, 85053, 85069, 85300, 85301, 85302, 85304, 85306, 85307, 85308, 85310, 85311, 85312, 85318, 8533, 85345, 85380, 85381, 85382, 85383, 85385, Authentic Mexican food, Best margaritas, Best mexican food, best tamale, Ensalada Mexicano, Glendale, La mejor comida mexicana, Mexican fresh seafood, Mexican salad, peoria, Phoenix, Real homemade home made, Real Mexican food, Taco Tuesday	. 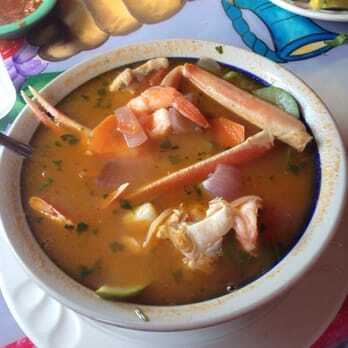 Posted on November 11, 2014 by anayasblog Posted in Anaya's Events, glendale, Information, Mexican Food	. 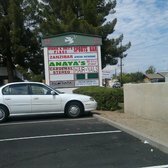 We have compiled a few customer reviews that are attributed to Anaya’s VIA the Yelp.com website. We have listed just a small fraction of the reviews attributed to us. There are many more at Yelp.com here. We take our Mexican Food very seriously. Our head Chef Cheto Mata has over 20 years experience creating culinary masterpieces as a professional chef. His ability to create unique dishes and tie them in with traditional cooking passed down to him from his parents and grandparents, has led him here to Glendale’s Anaya’s Fresh Mexican Restaurant. Since his arrival he has found better food suppliers, with fresher ingredients. He has made the menu items more wholesome and nutritious, by acquiring better quality ingredients and taking the time to prepare and cook them the right way. Every single dish I send out to a customer is my best dish. I cook in a tradition passed down through the generations. We appreciate every single review. Cheto believes that without diners, there will be no restaurant. For this reason we like to stay on top of any mistakes that we are making, in order to fix them as fast as we can. This is a great way to get community feedback on our food line and customer’s experience. Please keep the comments coming and we will always do our best to give every customer a five star dining experience. To let us know how we are doing, you can leave a comment on this page, down at the bottom in the comments section, or over at our Yelp.com review page. 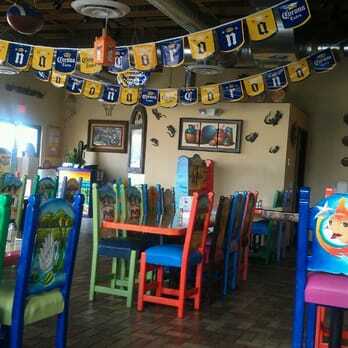 Very clean place, food is delicious The taste is like a homemade Mexican food. The server are really friendly. I recommend this place. We just discovered this place and loved it! I had the enchilada deluxe with ground beef and green sauce and my boyfriend had a carne asada burrito. Their food is just great and the staff very friendly. I enjoy coming here once a week, if you go on a Friday they have live music playing. It’s very very nice and I recommend it to anyone looking for great Mexican food. Tasty and fresh. My family had a wonderful Father’s Day here. Excellent. Friends and I arrived there for an early lunch prior to our flight from PHX. Delicious food, fun atmosphere, and attentive service. I wish I lived in Phoenix so I could come back more often! We could not have been happier. I was really skeptical coming to this restaurant because there were only 5 reviews. The interior seating reminds me of some of the local restaurants in Mexico. Brings back joyful memories and a sense of comfort. The host was friendly and welcoming. Our waitress was very nice and helpful with the menu. 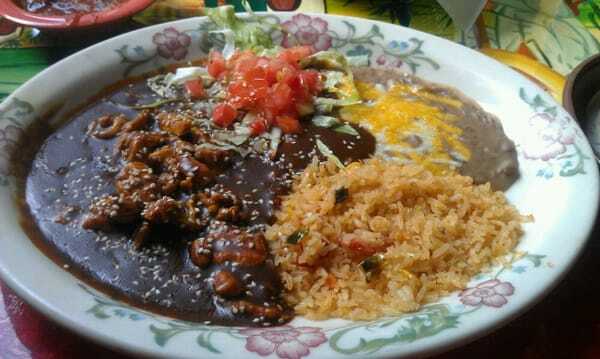 I ordered the chicken mole which was tasted fresh and delicious! My wife had a mini-chimichanga with shredded chicken. She also enjoyed the food. My 5-year old son ate his rice and beans. He doesn’t normally eat well at restaurants if he doesn’t like the food. He loved it! They also have a full bar with 2 flat screens hanging at both ends. The service and food here is excellent and I am definitely coming here more often. Tags: 85020, 85021, 85027, 85029, 85051, 85053, 85069, 85300, 85301, 85302, 85304, 85306, 85307, 85308, 85310, 85311, 85312, 85318, 8533, 85345, 85380, 85381, 85382, 85383, 85385, Authentic Mexican food, Best margaritas, Best mexican food, best tamale, Glendale, Mexican fresh seafood, peoria, Phoenix	. Posted on July 12, 2014 by anayasblog Posted in Anaya's Events, Information	. 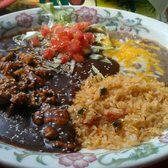 Now Open Excellent Mexican food from Anaya’s Fresh Mexican Restaurant. We are pleased to announce the opening of our new location. We have already started taking customers and seem to be well received by the neighborhood and community. We love making new friends and even our old friends have been stopping by the new location to check it out. You can still always visit us at our first location at 43rd Ave and Dunlap/Olive. Our newest location is at 5830 W Thunderbird Rd. Glendale Arizona 85306. You can find us in the same strip mall as Safeway right next to Subway. The corner is located at 59th Ave and Thunderbird Roads on the North East corner. Now that you have excellent directions, please come out and visit us. We are always ready to provide you with the best food and dinning experience in the valley. Tags: 85020, 85021, 85027, 85029, 85051, 85053, 85069, 85300, 85301, 85302, 85304, 85306, 85307, 85308, 85310, 85311, 85312, 85318, 8533, 85345, 85380, 85381, 85382, 85383, 85385, Anaya's Mexican Food New Location, Anaya's Thunderbird location, Authentic Mexican food, Best margaritas, Best mexican food, best tamale, Glendale, Mexican food on 59th Ave, Mexican food on Thunderbird, Mexican fresh seafood, peoria, Phoenix	. Posted on April 12, 2014 by anayasblog Posted in Information, Menu	. Tags: 85020, 85021, 85027, 85029, 85051, 85053, 85069, 85300, 85301, 85302, 85304, 85306, 85307, 85308, 85310, 85311, 85312, 85318, 8533, 85345, 85380, 85381, 85382, 85383, 85385, Authentic Mexican food, Best Chicken Mole, Best Chicken Mole in Glendale, Best margaritas, Best mexican food, best tamale, Glendale, Mexican fresh seafood, peoria, Phoenix	. Posted on April 5, 2014 by anayasblog Posted in Anaya's Events, Information	. Tags: 85020, 85021, 85027, 85029, 85051, 85053, 85069, 85300, 85301, 85302, 85304, 85306, 85307, 85308, 85310, 85311, 85312, 85318, 8533, 85345, 85380, 85381, 85382, 85383, 85385, Anaya's Fresh Mexican food and Mariachi, Authentic Mexican food, Best margaritas, Best mexican food, best tamale, Glendale, Live Mariachi on Saturday Night at Anaya's, Mexican fresh seafood, peoria, Phoenix, Where to find a Mariachi band in Phoenix	.